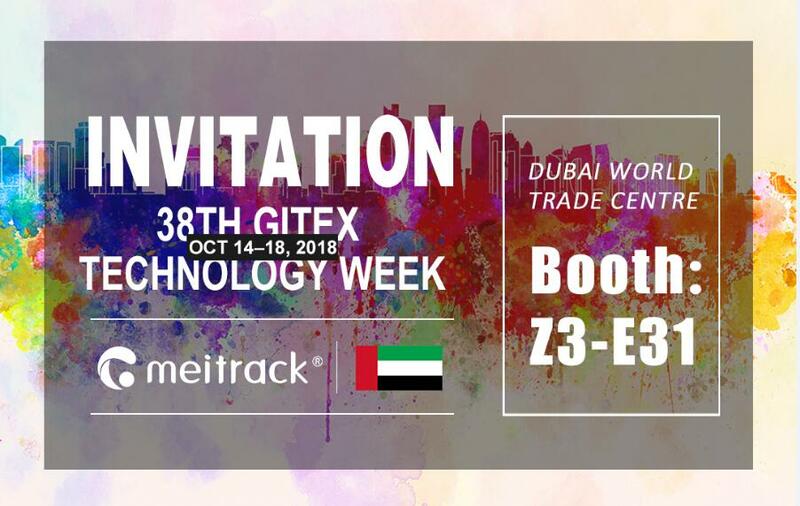 Meitrack is so proud to announce its participation in GITEX Technology Week, which will happen at Dubai World Trade Centre in Dubai, UAE from October 14-18. As the biggest & boldest technology show in MENA & South Asia, this show will be a marvelous platform for discussion of ideas, and sharing experiences and resources among countries. Now, we cordially invite you to stop by booth Z3-E31 and say hello to our team. This time we will present its first 4G LTE vehicle GPS tracker T366L and showcase all of the groundbreaking changes we’ve undergone over the past year. Our booth will be staffed by technical and marketing experts, and they will share success stories about 3G/4G GPS tracking, Iridium GPS tracking, and advanced vehicle tracking integrated with Tire Pressure Monitoring System. We welcome the opportunity to exchange ideas and address your business goals. For more information about visiting us at GITEX Technology Week 2018, call us at +86 (755) 8346 2818, or inquire by email at info@meitrack.com. See you soon in Dubai? We’re looking forward to seeing you at booth Z3-E31!